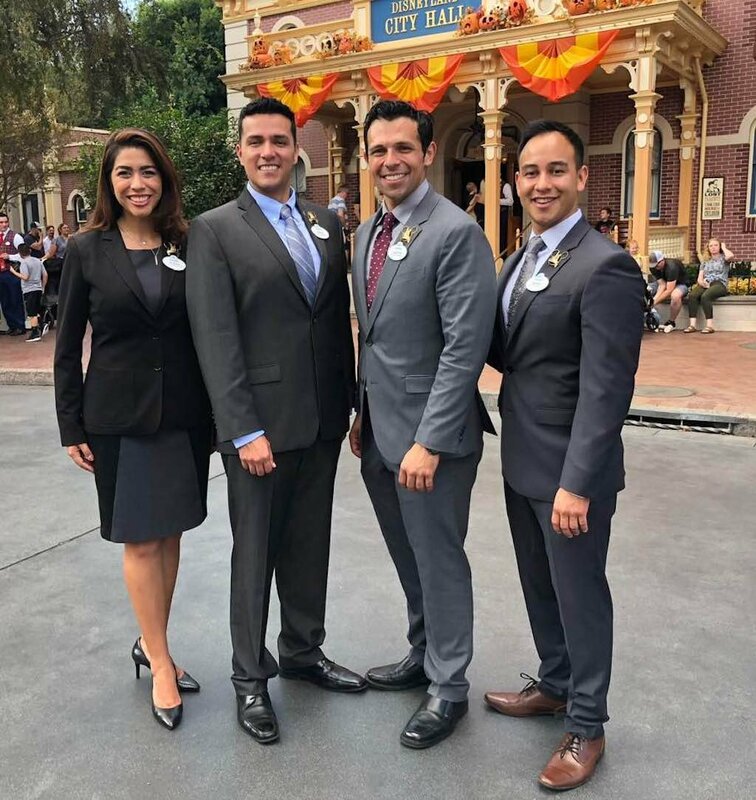 On Thursday, October 4, 2018 Disneyland officially introduced their 2019-2020 Resort Ambassador team. 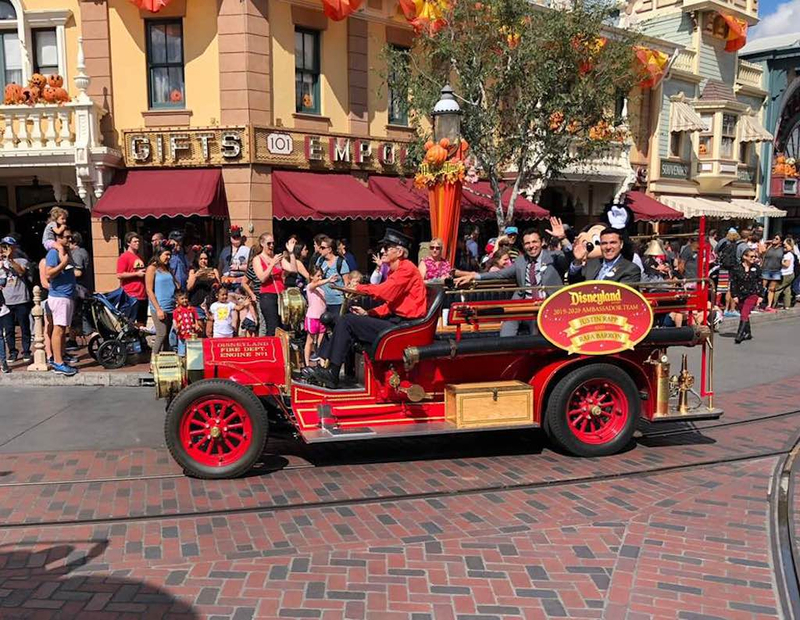 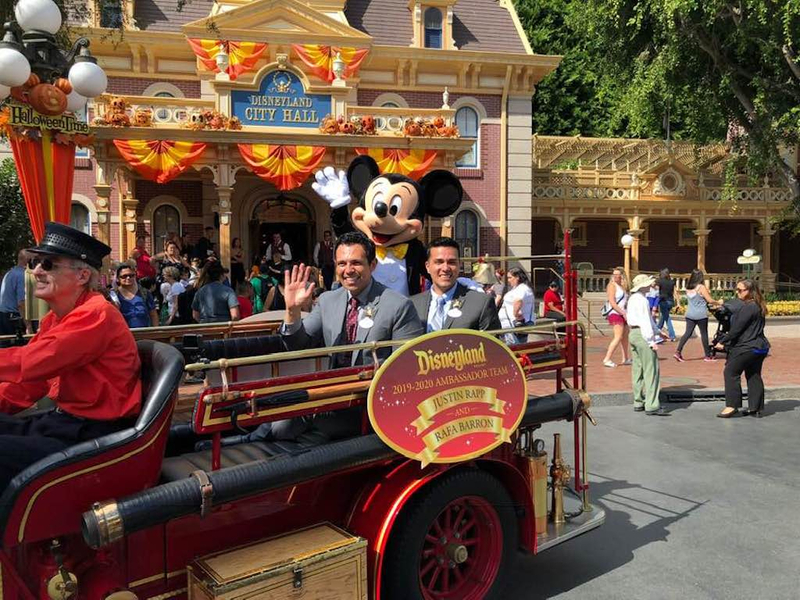 Justin Rapp and Rafa Barron, accompanied by Mickey Mouse, made their way through Disneyland aboard the fire engine, then posed for photos and gave interviews to assembled media. 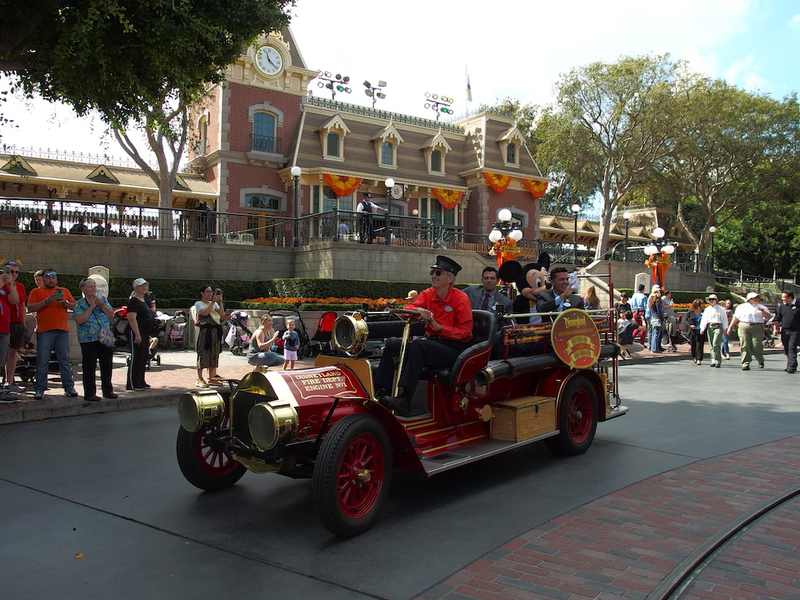 Justin Rapp, a native of Phoenix, Arizona, has been a cast member since 2012. A veteran Jungle Cruise skipper, Rapp later joined Entertainment as a performer. 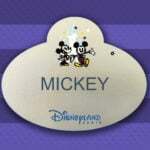 In recent years he has also served as a trainer for new Cast Members. 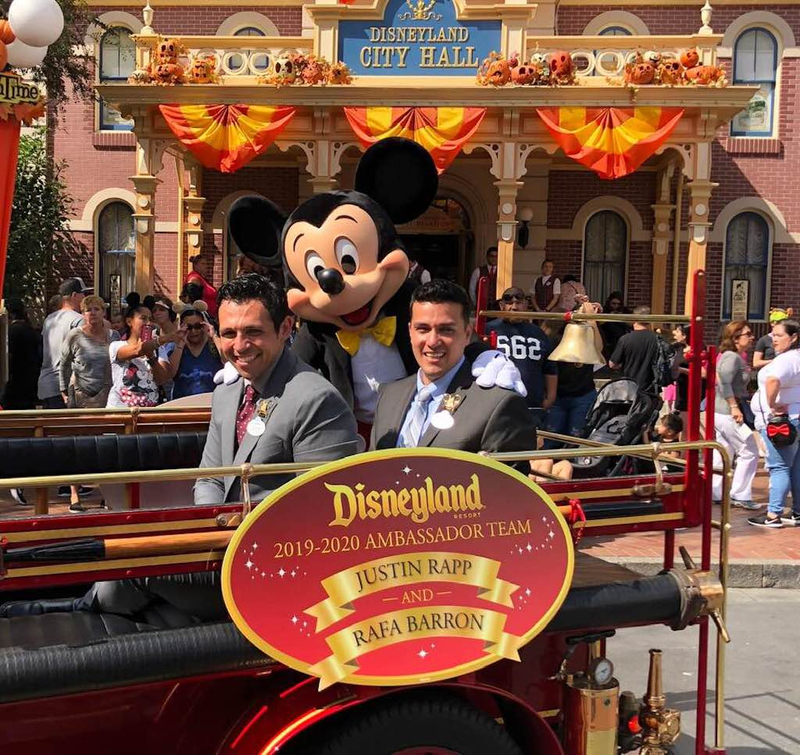 Rafa Barron moved to Orange County two-and-a-half years ago from his home in Mexico City, Mexico. 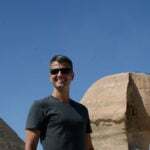 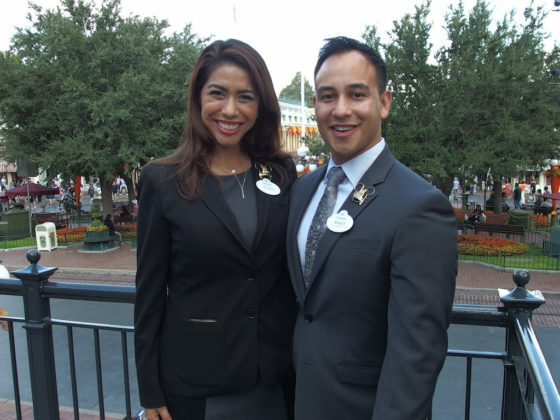 He is a working lead in Tomorrowland attractions, as well as a trainer for newly hired cast members, offering orientation classes in both Spanish and English. Also on hand for the festivities were the 2017-2018 Ambassador team, Alexa Garcia and Mikey Trujillo. During their two years, they have served at a variety of events, such as monthly visits with children at CHOC Children’s Hospital, special promotions, and community and non-profit events. 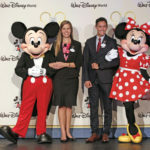 There were more than 100 applicants for this year’s Ambassador team. 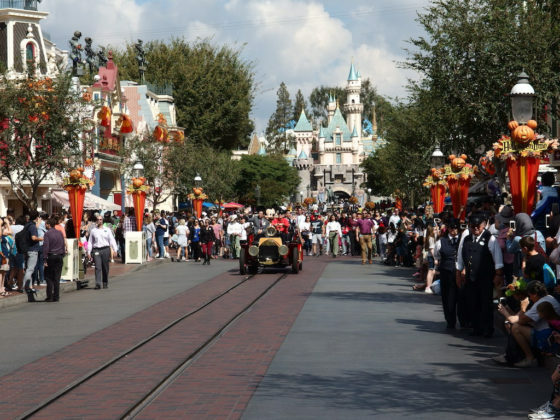 The program began in 1965 for Disneyland’s 10th anniversary. 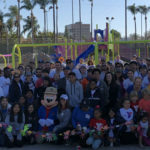 Ambassadors serve at Disneyland, in the Anaheim community and around the world, representing the Disneyland Resort cast. 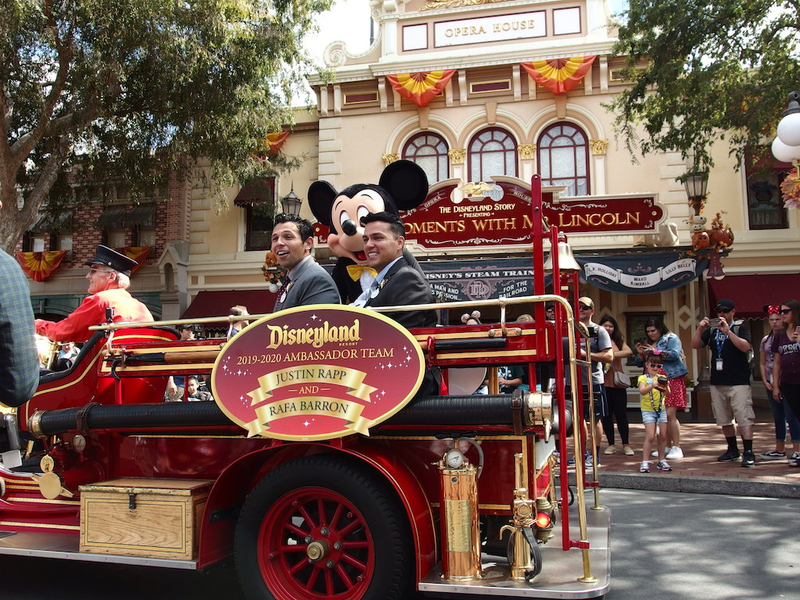 They also host VIP visitors and are official spokesmen for Disneyland. There are Ambassadors at every Disney theme park around the world.